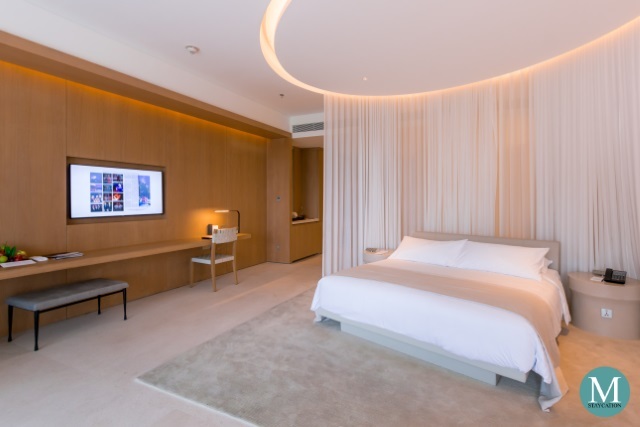 The Loft Studio is the most expansive guestroom among the standard room categories of The Sanya EDITION. The room measures 79 square meters and has a ceiling height of 3 meters. 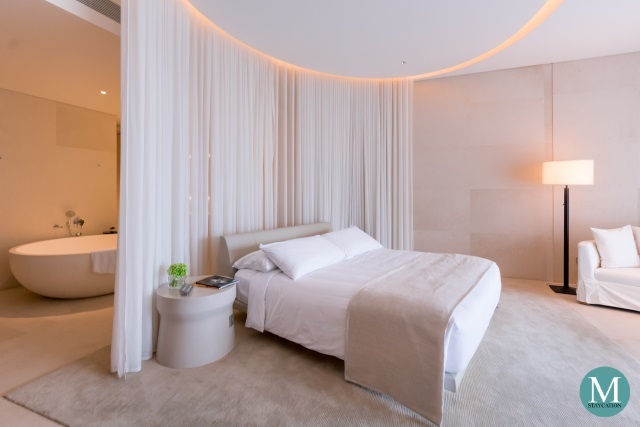 The clean & minimal architectural design of the resort is also interpreted to the interior design of the room. The room's open-floor plan and the use of limestone flooring and light oak wood panels makes the room feel more spacious and airy. The wide sliding patio glass doors allow natural light to bathe the interior of the room. Coupled with a neutral color scheme, the interior evokes a casual yet chic seaside vibe. In total comfort of their luxurious room, guests are able to view the ocean sunrise while lounging in bed. Furniture were carefully selected and were made with custom fabrics. 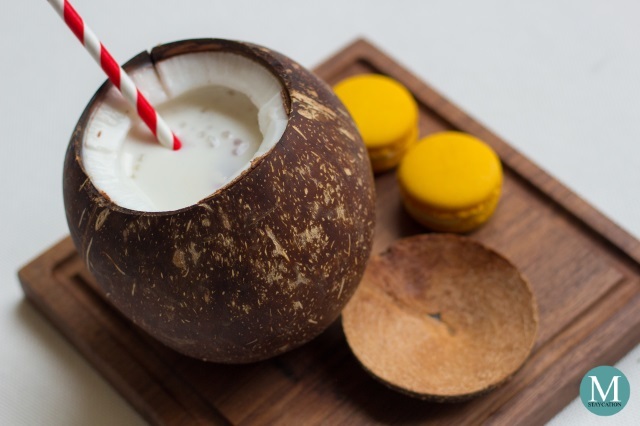 Guests arriving in the room will have their first taste of this tropical holiday destination through the welcome amenity consisting of a platter of fresh tropical fruits and a coconut milk-based drink served in a coconut shell, as well as tropical fruit-flavored macarons. 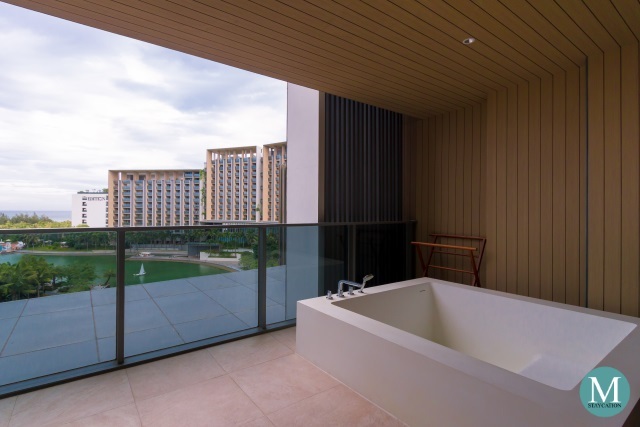 The Loft Studio also features an equally spacious balcony which is furnished with a semi-circular daybed and fitted with a reconstituted white stone soak-in bathtub. This area is an absolute treat for couples. The balcony also affords the guests with a spectacular view of the South China Sea, right at the comfort and privacy of their room. 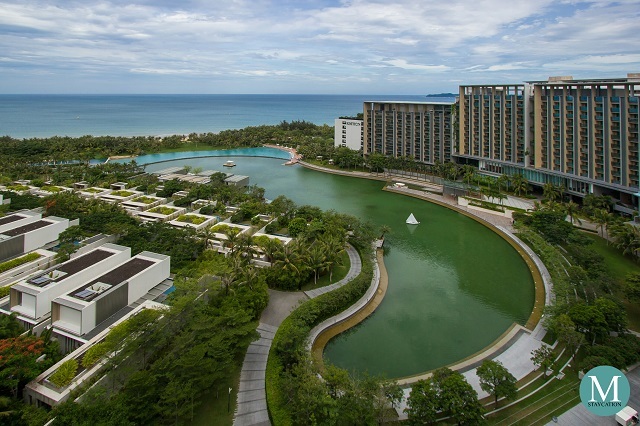 The balcony makes for a perfect venue for in-room breakfast and sundown sessions while enjoying a bottle of champagne. Other features of the room include a 46” flat screen HDTV with local and international cable and HD channels. A 3.5 meters long wooden ledge is mounted on the wall and serves as a long table where guests can place their personal items. The wooden ledge can also serve as a dining table (in-room dining) and as a flexible workspace. During my stay, I was able to connect my laptop to the complimentary high-speed WiFi internet to send out and respond to a couple of emails. There are several power outlets available with universal sockets, so no need to worry about bringing a universal adapter. There are corner table located on either side of the bed. 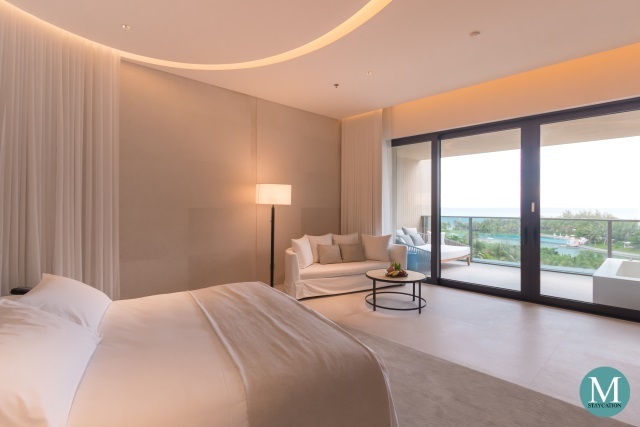 Each bedside table is equipped with a control panel with which guests can comfortably adjust the in-room lighting as well as to draw the sheer and the blackout curtains of the patio glass doors. The closet is located at the foyer of the room. There is more than enough storage space for folded garments and for hanging clothes. Wooden and satin padded clothes hangers are provided. Iron and ironing board are also stored inside the closet. For the security of your personal belongings, a safety deposit box is also found inside the closet. It big enough to fit a laptop inside it. You must check-out the minibar which is fully stocked with canned juices and soda as well as premium wine and spirits. The room also comes with an electronic kettle and a set of tea pot and four tea cups. Complimentary coffee sachets and TG Art of Tea sachets. My personal favorite was the Oolong Tea flavor. A unique feature of the Loft Studio which I really love is the deep-soaking circular bathtub made of reconstituted white stone. With a diameter of 1.7 meters, the bathtub can comfortably fit two persons. Next to the bathtub is the dual vanity with an ultra wide mirror. The walk-in shower room is also super spacious and is fitted with a rainfall shower. There is also a separate lavatory. 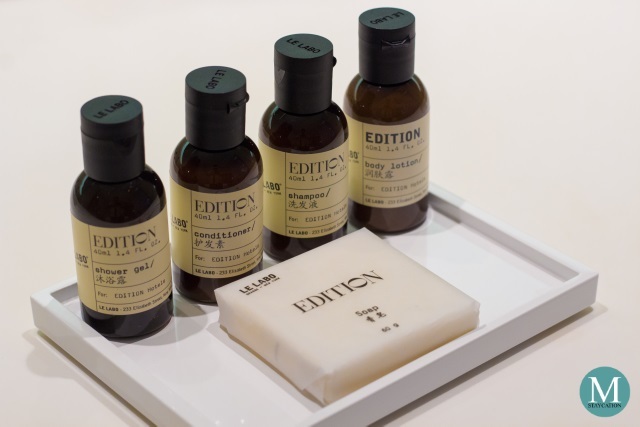 I adore the EDITION line of body and bath amenities by Le Labo of New York. 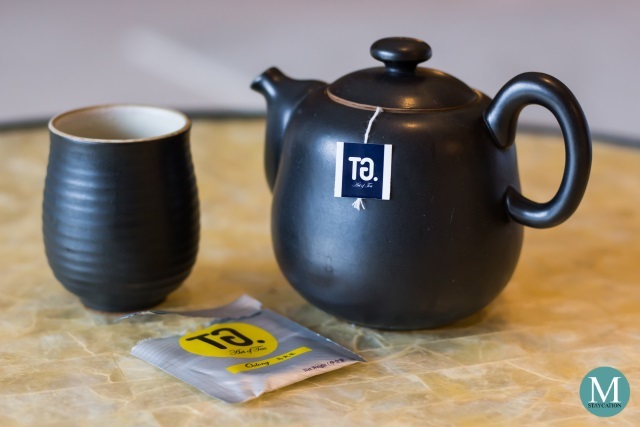 The scent has the tranquil scent of black tea with a subtle boldness of tobacco. I used a bottle of the shower gel to create bathtub bubbles and it was one of my most indulgent bath experience ever. Finally, the highlight of my stay was the king bed. The mattress had the perfect balance of softness and firmness. It evenly supports weight and adjusts to the contours of the body. The pillows were fluffy and comfortable to the neck. 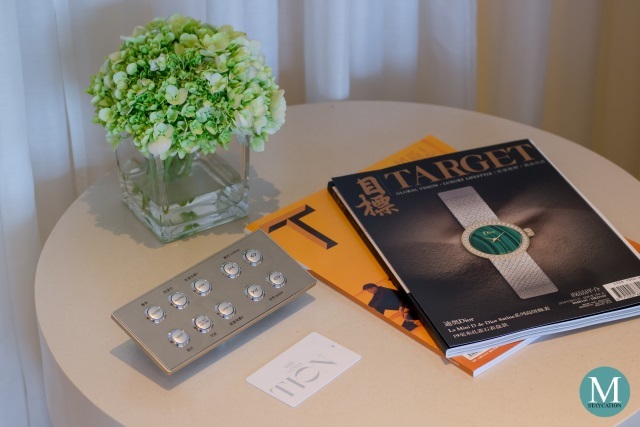 EDITION uses Frette linens which are made of crisp cotton which is very soft and gentle to the skin. 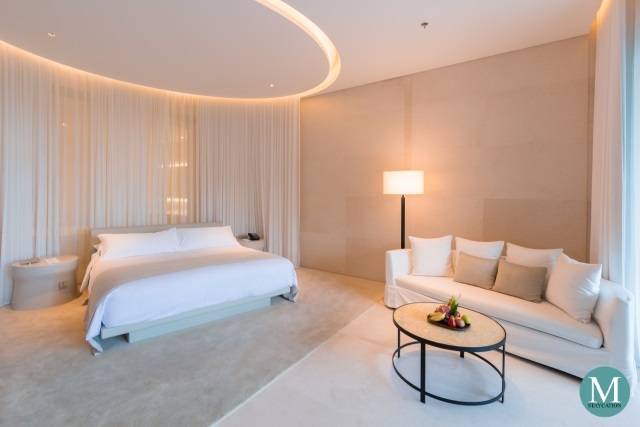 During my two-nights stay at The Sanya EDITION, I consistently had eight hours of uninterrupted sleep and I wake up every morning feeling well rested and rejuvenated.